When a new channel is created a default language can be selected. 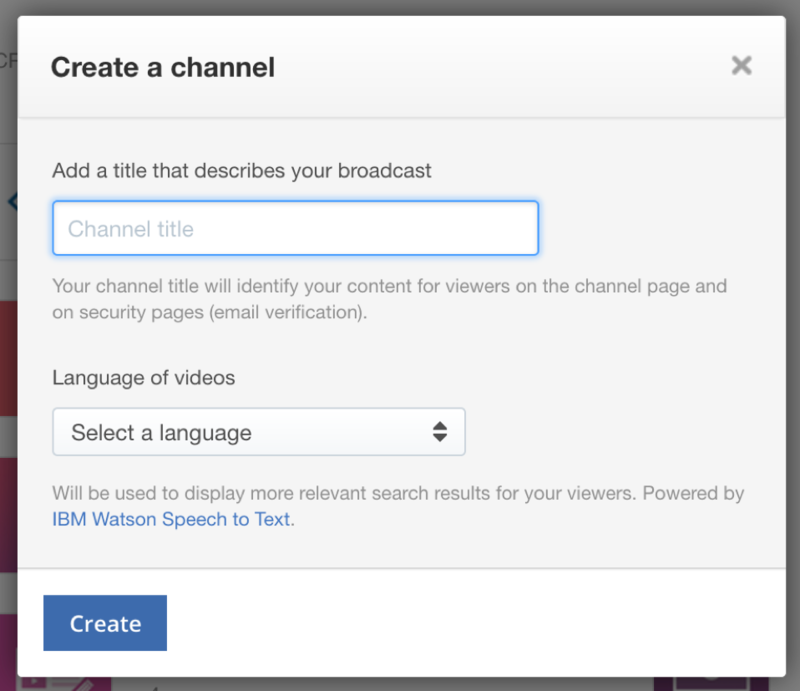 If a channel is created later the language can be set in the Channel info dashboard page. If a supported language is set then transcripts are generated automatically in the backend from all the videos. If Not applicable is set no transcripts are generated, that is the default setting for a channel. If a video is in a different language than the channel’s default language the channel's language setting can be overridden on a video level and a new transcript is generated. 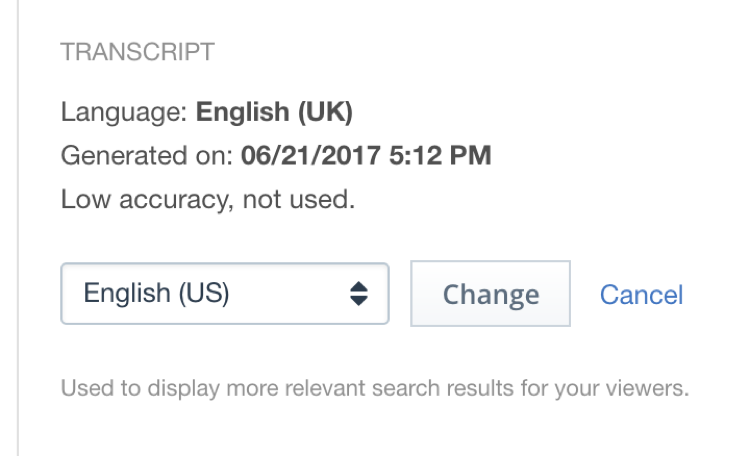 If the accuracy level of the created transcript reaches 70% then it is added to the search index and will help improve search results. If not you can change to another supported language to get better accuracy. Generating transcript takes approximately the same time as the video length.